It is extremely rare to ever find an example or even the slightest hope of a colony that has declared independence and embraced republicanism coming back to the embrace of the monarchy of its ancestral homeland. Yet, that is exactly what happened to the Dominican Republic. To understand why, we must take a brief look back at the historical background of the country. The island of Santo Domingo, originally Spanish, came to be shared by France and Spain until the Peace of Basel saw Spain relinquish total control of the island to the French. Not everyone was fond of that and feelings only grew worse after the Haitian revolt when the formerly Spanish half of the island was invaded by Haiti, sacking towns and massacring people. With the Napoleonic Wars raging, Britain assisted the Spaniards in breaking away and reasserting their colonial ties with the Kingdom of Spain. Some wanted independence, but there was no consensus on the issue. Most seemed more concerned with what they were against than what they were for and it became more and more clear that action would decide the day. The pro-independence faction acted first when Jose Nunez de Caceres declared independence from Spain with the idea of applying for annexation by the republic of Gran Colombia under Simon Bolivar. However, before there could be any progress on that front (and it is doubtful that Gran Colombia could have done much to prevent the coming disaster) the Haitians invaded again and the people of Santo Domingo got a foretaste of what later generations would experience under communism. The Haitians trumpeted their abolition of slavery but promptly went about making slaves of everyone, nationalizing almost all private property. All major estates were confiscated, most of the property of the Church was confiscated and all the property of the Spanish Crown was confiscated and nationalized as well. Similar to what would be done over a century later with the communal rice farms of Pol Pot’s Cambodia, almost all industry was shut down other than sugar and coffee production, the university was closed and most schools were shut down as everyone was either drafted into the army or forced to labor on the nationalized plantations. The Dominicans who were conscripted were not paid and forced to loot their own countrymen in order to survive and huge reparations payments (known as “tribute”) was forcefully extracted by Haiti. Most of the White Spaniards fled the country and as the economy flat-lined and taxes imposed rose higher and higher, even the freed Blacks began to rebel. Even many of the Haitians groaned under the oppression of their commander Jean-Pierre Boyer. In 1843, Boyer and his regime were finally overthrown and the republicans who looked with admiration on the United States seized the initiative and declared the independence of the Dominican Republic, enacting a constitution in 1844 that was very similar to the American model. However, given what had happened so recently, most in power had no delusion that they could survive on their own but would have to be protected by some foreign power to ward off another Haitian invasion. Two factions soon emerged; Pedro Santana, commander of the army, favored restoring the Spanish Crown while Buenaventura Baez, who later became President, first favored annexation by France and, when France rejected the notion, looked to the United States. General Pedro Santana y Familias was the primary advocate of reunion with Spain. A wealthy rancher and talented military commander, he became the first President of the Dominican Republic but planned on it being only a temporary position. He had been instrumental in driving out the Haitians and was viewed with admiration or at least a healthy respect by most of his countrymen. When Baez became president, devoting himself to trying to get the Dominican Republic annexed to the United States, he drove the country into bankruptcy and was finally overthrown in a coup at which point Santana assumed power. To stabilize the country and guard against any aggression from Haiti, Santana formally approached the Kingdom of Spain with the offer to return the Dominican Republic to the Spanish Empire. Naturally, not being in the best of circumstances itself and wary of the United States, Spain had not been quick to jump at the opportunity to have the territory back. However, by 1861 the United States was embroiled in a civil war and not in a position to get belligerent about the enforcement of the Monroe Doctrine. 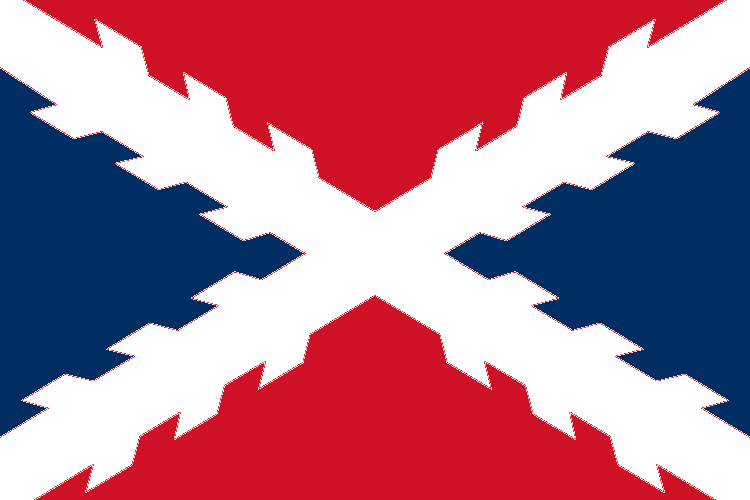 Doing so against Spain might provoke the French and British Empires into recognizing the southern Confederacy and going to war against the United States in support of Spain. So, on March 18, 1861 Her Catholic Majesty Queen Isabella II of Spain was formally declared sovereign over the former Dominican Republic and the Cross of Burgundy waved over Santo Domingo once again. 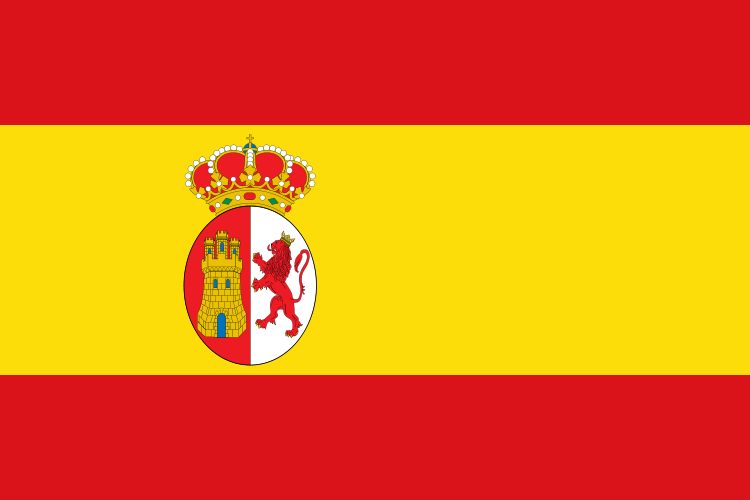 It was the only time that a Spanish colonial possession would return to Spain after having gained independence. At the same time, the Empire of Brazil was being provoked into war with republican Uruguay and later Paraguay while in Mexico conservative forces were making progress in persuading the Emperor of the French to intervene on their behalf and eventually restore the Mexican Empire. It seemed that while the United States was at war with itself, monarchy was on the march across the New World. Of course, there were problems as some in Santo Domingo staunchly opposed the return of the Spanish Crown to the island. One rebellion was put down and then another invasion by Haiti, led by a rebel Dominican, was defeated and its leader executed. Santana was sworn in as Governor-General of the colony but by the next year had resigned due to his frustration at having less power as the representative of Queen Isabella II than he had previously enjoyed as president/dictator. The military measures to secure the colony and regain land previously taken by Haiti also necessitated measures which upset many locals and the introduction of trade restrictions and a tobacco monopoly upset many of the wealthy elites. Rebels also began spreading rumors that Spain was planning to legalize slavery again in Santo Domingo, Cuba and Puerto Rico which many people stubbornly believed despite numerous explicit announcements from the Spanish government that this was totally untrue and would never happen. Finally, when Spanish forces drove out the last of the Haitian enclaves in the colony, Haiti officially abandoned neutrality and began to support the rebels in a major uprising, starting in 1863 known as the “Restoration War”. The rebels also appealed for help from the United States but, with the civil war there at its height, there was nothing the government in Washington could do. At first, General Santana, who had been given the title of Marquis of Carreras by Queen Isabella II, was in command of the Spanish forces opposing the rebels but despite his high reputation, he proved unable to stem the tide. After disobeying orders to concentrate his forces for a decisive battle, Santana was dismissed and ordered to Cuba to face a court-martial but he died in the summer of 1864 before that could happen. Under the Spanish General Jose de la Gandara y Navarro the situation immediately improved. He began a determined counter-offensive against the rebels and soon had forced them into a desperate position as evidenced by the fact that they began calling for peace and offering to discuss terms. It seemed that the Crown of Spain was on the cusp of total victory in Santo Domingo. However, events overseas, in both Europe and North America were working against the Spanish army in Santo Domingo. In Spain itself, opposition to the war was widespread. In short, Spain simply didn’t see it as being worthwhile as the amount of blood and treasure being expended was too high for the very modest gain that their half of the island produced. For the Spanish, Santo Domingo was proving to be more trouble than it was worth. Furthermore, American intervention was also a growing concern as it became clear that the Union forces would be victorious against the southern Confederates and once that was done, it could be expected for the U.S. government to order Spain out of Santo Domingo at which point all of their effort would have been in vain. It seemed far better to cut their losses and get out before any more was wasted. In North America, on April 9, 1865 Confederate General Robert E. Lee surrendered to Union forces under General Ulysses S. Grant, effectively marking the end of the civil war in the United States. There was no longer any doubt as to the outcome of any effort to restore monarchy in the western hemisphere. On March 3, 1865 HM Queen Isabella II of Spain formally annulled the annexation of the Dominican Republic and by May the Spanish army on the island began evacuating, the last leaving in July. It was, perhaps, short-sighted of Spain to abandon a clearly obtainable victory, without thinking of the long-term consequences. However, in light of the U.S. victory in the War Between the States, there is little doubt that the Spanish would have been forced out if they had not withdrawn willingly. An example was soon seen in Mexico where American pressure forced France to abandon Mexico after which U.S. support ensured a republican victory. It was a time of high hopes dashed for monarchists when, within just a few years, the Dominican Republic had returned to loyalty to the Spanish Crown, an empire was revived in Mexico and with aspirations of further expansion into Central America and possibly Ecuador and with the Empire of Brazil standing out as the dominant power in South America only to have it all come to an end with republicanism resurgent. For the Kingdom of Spain, while Santo Domingo might not have been of great benefit, its loss proved more damaging than most realized. The Spanish withdrawal provided an inspiration for republican rebels in Cuba and Puerto Rico that if a rebellion could be mounted and if they could gain the sympathy and support of the United States, they too could break away from Spain. What many failed to realize was that claiming independence is a far cry from actually being capable of being independent and most of these countries ultimately traded one imperial ruler for another. In the case of the Dominican Republic, independence brought considerable instability and economic hardship (due almost entirely to government interference and mismanagement) which ultimately ended in threats of European intervention in the name of debt collection. American President Teddy Roosevelt stepped in to prevent this, putting the United States in charge of customs for the Dominican Republic in 1905. In 1916 President Woodrow Wilson ordered the military occupation of the Dominican Republican after political instability there and the country remained under American occupation until 1922. However, the U.S. kept a close eye on local politics and American military occupation returned in 1963 when President Lyndon Johnson ordered troops in to prevent a communist takeover of the country. A little more than a year later, they were withdrawn but certainly few could argue that the Dominican Republican has been much of a success nor has it been very truly independent since breaking, again, from the Crown of Spain. On a more optimistic note, however, if the country could return to loyalty to the Crown once, perhaps it can do so again and set a different kind of example for its neighbors. And what of the Catalonian Independence Referendum this November? And some monarchies within monarchies want that too. Republics and democracies are easily corrupted my money and are very hard to restore but I wonder if the Monarchy will return because colonies that r part of republics are only there to make the homeland rich and nothing else.